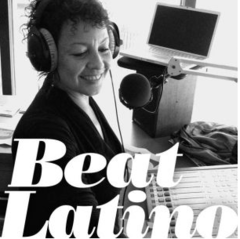 In this hour, it's all about music by and for women here on Beat Latino, celebrating International Women's Day and Women's History Month with feminist folk from Patagonia (Fémina), alt rock from Colombia (Aterciopelados) and even a few classic such as "Ovarios" by Jenni Rivera. ¡Vivan las mujeres! Photo on previous page by Matt Wheeler (Kartel).